Jan. 31 (NBD) – For the past several years, carpooling has been a major complementary method to relieve the stress posed on China's public transportation during the Spring Festival travel season, or Chunyun, when tens of millions of Chinese return home for family reunion. Yet as Didi Chuxing (Didi), China's largest mobility platform, halted its carpooling service over security concerns last year, alternative service providers are less than satisfactory to meet travelers' demand. Statistics show that carpooling helped over 40 million passengers go home and back during last year's Spring Festival travel season, equaling to 70 percent of the transport capacity by civil airline of the same period. The transportation mode covered 99 percent of the nation's counties. 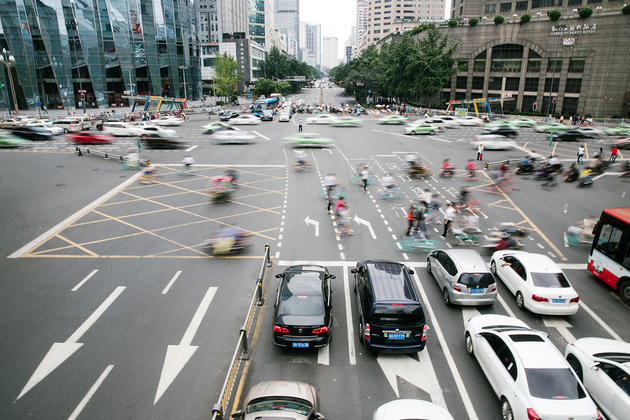 According to Didi's data, the platform's carpooling service alone carried 30.67 million travelers during 2018's Chunyun. However, as two appalling murders of female passengers sparked nationwide concerns about the security of the platform, Didi announced in August last year to indefinitely cancel its carpooling service. Other platforms are eyeing the void left by Didi. Dida Chuxing (Dida), the only app in China's top ten mobility platforms that has continued carpooling service for the past five months, launched a campaign for the 2019 Chunyun that will give 10,000 lucky carpoolers 200-yuan (29.8 U.S. dollars) vouchers, as well as pledged to improve security. However, a carpool passenger reported that on January 26 a Dida driver wounded his finger with a knife when he refused the driver's request for extra 100 yuan (14.9 U.S. dollars). Alibaba-backed Hello Chuxing (Hello), formerly a bike-sharing platform, started preparing for Chunyun early. The company announced on January 17 that it had attracted 1 million car owners to register as carpooling drivers, and started trialing the service in six cities on January 25. Online media Lieyunwang.com tested Hello's services in three cities, and four among the five orders placed failed to match a car. The launch is clearly too hasty, commented Lieyunwang.com. A recently registered car owner told The Beijing News his frustrating experience using Hello that a passenger with 85 percent of matching rate was actually very very far away from him. Song Zhongjie, founder of Dida, admitted that the order fill rate on the platform stays around 50 to 60 percent due to multiple factors. For example, to achieve 10 million orders, in the car-hailing sector it only needs 1 million registered drivers, but it would require 20 million registered drivers in the carpooling scenario, Song added. Though successors are not matching travelers' expectation, Didi Chuxing said earlier this month that its carpooling service will remain out of service until security overhaul is completed. Some are returning to more conventional ways of carpooling, looking for matching drivers or passengers in chat groups, or by simply posting their travel needs on twitter-like Weibo and other social media platforms.